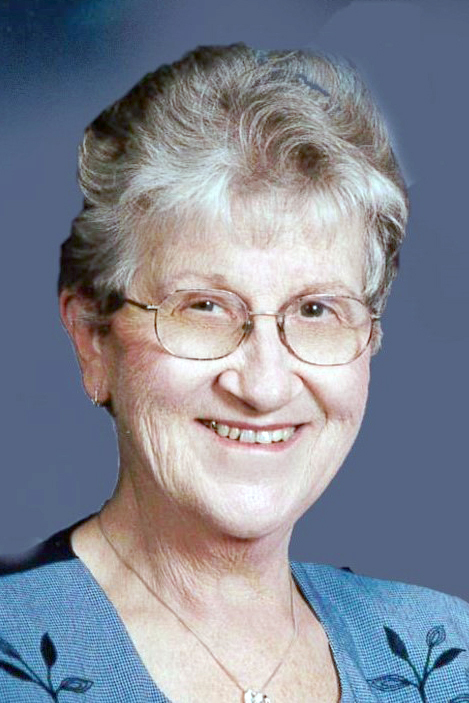 Mary Olson, 88, of Webster City, died, Friday, March 22, 2019 at Crestview Nursing and Rehabilitation Center. Funeral services will be held at 2:00 p.m. on Wednesday, March 27, 2019 at Foster Funeral and Cremation Center with Pastor Terry Davenport officiating. A private family burial will be held at a later date. Visitation will be held from 1:00 p.m. to 2:00 p.m. on Wednesday at the funeral home. Mary Alice Symes, daughter of Raymond and Frances Coffey Symes, was born July 9, 1930 in Rockford. She attended Floyd County rural schools and graduated from Rockford High School in 1949. On August 29, 1954, she married Dale Russell Olson in Rockford. The couple resided in Grinnell, Zumbrota, MN and Iowa Falls until they moved to Webster City in 1962. Mary worked at the Hamilton County Treasures Office, Sheriff’s Department and Crestview Manor until her retirement in 1995. She then worked as a Home Health Care worker for several years. Mary is survived by her husband, Dale of Webster City; children; Vicki (Tim) Stearns of Steamboat Rock, Kristi (Stan) Kobrin of Rockledge, Fl, Beth (Steve) Moore of Huntersville, NC, Mark (Bonnie) Olson of Webster City; grandchildren, Seth (Dennette) Stearns, Tami (Wade) Feickert, Haylee (Kris) Burnham, Garrett Moore and Nickolas Olson; great-grandchildren, Lucas and Emma Stearns, Gage and Gavin Feickert; sisters, Joanne Dohrmann of Latimer, Sharon (Bill) Walsh of Omaha, NE and several nieces and nephews. She was preceded in death by her parents; a son in infancy, Todd; brother-in-infancy, Willis; brother-in-law, Louis Dohrmann. Mary was a very active member of Calvary Baptist Church, involved with Sunday School, Youth Groups and Women’s Fellowship. She enjoyed gardening, sewing, cooking and crafts but most of all, spending time with her family. Memorials may be left to Kindred Hospice in memory of Mary.